If you follow me along on Instagram stories, you know I have family here visiting all the way from Brazil. My parents came in the beginning of April for Gabriel’s birthday, but they only stayed for 20 days and when they left my antie and uncle arrived. 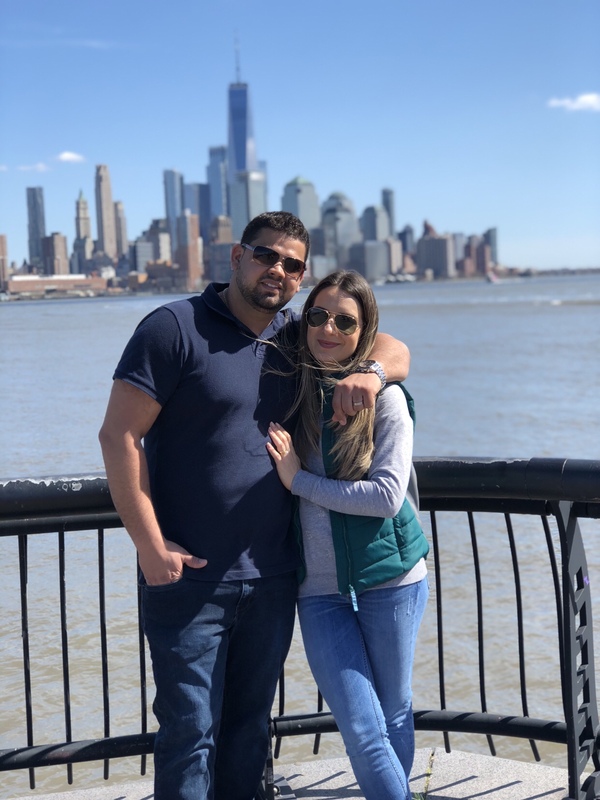 They have never been to the US before so we made sure to take them all nice places around New Jersey and New York City. And Hoboken was in my list of places to take them. I love to walk around the Hoboken waterfront and thought they would too. Se você me segue la no Instagram, deve ter visto nos meus stories que estou com visitas do Brazil. Meus pais vieram no começo de Abril para o primeiro aninho do Gabriel e assim que foram embora chegaram os meus tios e essa é a primeira vez deles aqui nos EUA então planejamos tudo direitinho para que eles pudessem conhecer os pontos turísticos de New Jersey e de Nova York. E Hoboken, uma cidadezinha em NJ estava na nossa lista de passeio. Eu adoro passear pelo calçadão com uma vista linda para NY e tiramos um tarde para passear por la. 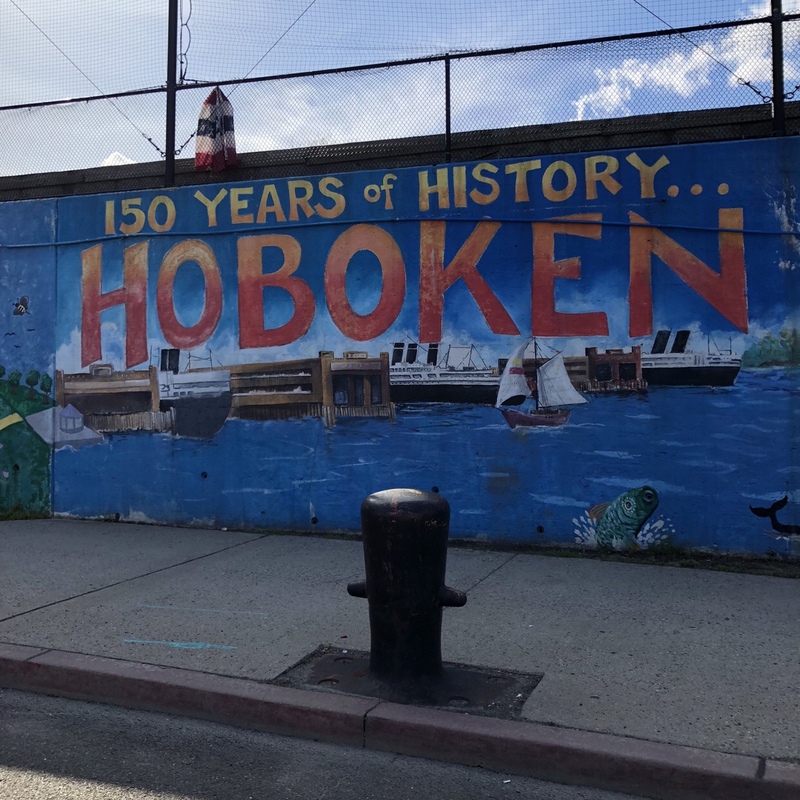 Hoboken is the birthplace of Frank Sinatra and its character and charm have been preseved for over 150 years. The city is surrounded by the Hudson River with a beautiful view of NYC. For me, its one of the best things about Hoboken! Just walking along the river and taking in the amazing views is a wonderful way to spend an afternoon. If you have kids like me there is a great park for them to play all while you take in the view. 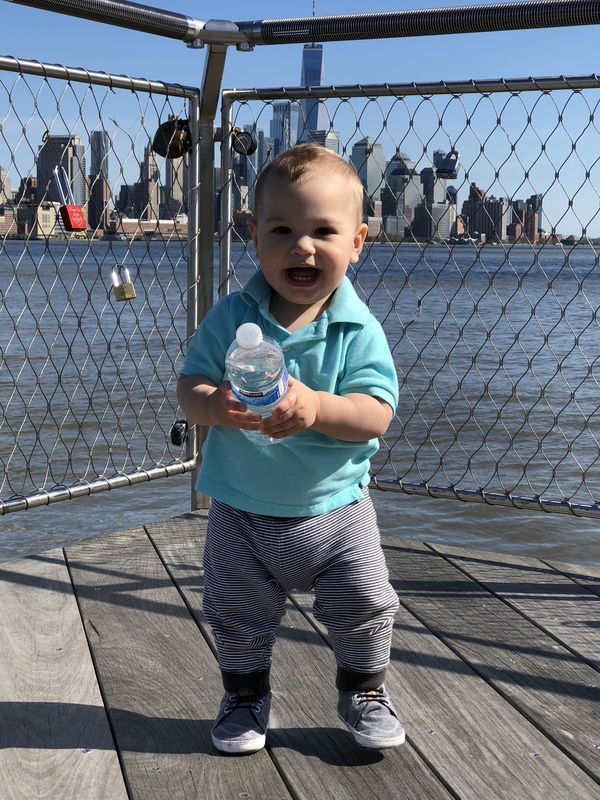 Baby Gabe was just happy to be enjoying the great weather and walk around the promenade. 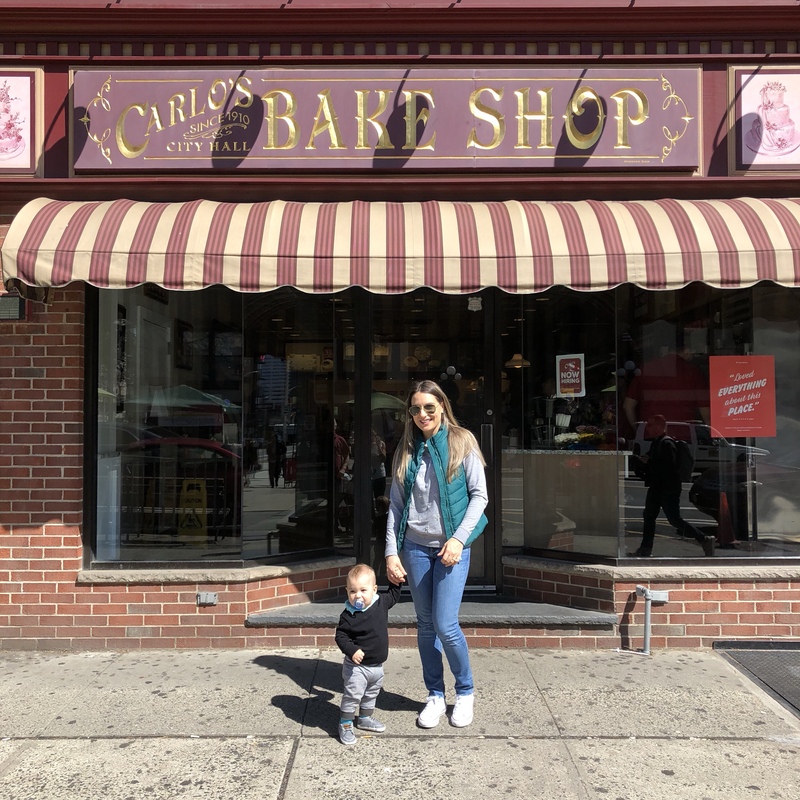 E se você vier visitar Hoboken, não pode deixar de passar pela rua principal (Washington Street) cheia de comércios como restaurantes, barzinhos, boutiques e a famosa padaria do show de TV americano Cake Boss. Como fomos em um dia da semana não pegamos fila e curtimos cada detalhe do lugar. Minha tia ficou apaixonada e era um sonho pra ela conhecer a tao famosa padaria. Pedimos alguns bolos, cupcakes e cannolis e estava tudo maravilhoso! Vale muito a pena conhecer. 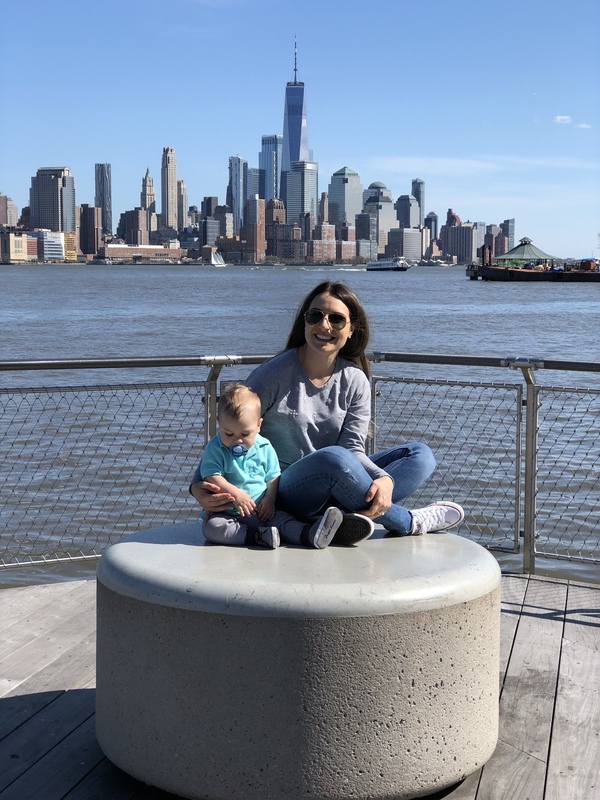 We really enjoyed our afternoon walk around Hoboken’s attractions. My family was really happy and impressed with the beauty of this city. 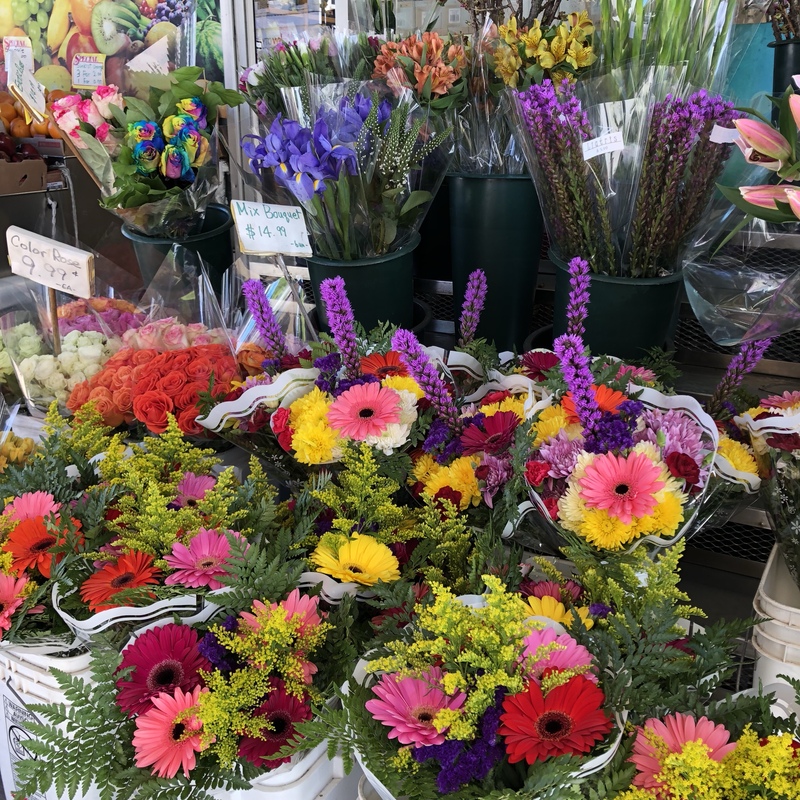 Hoboken is a vibrant, growing community today. 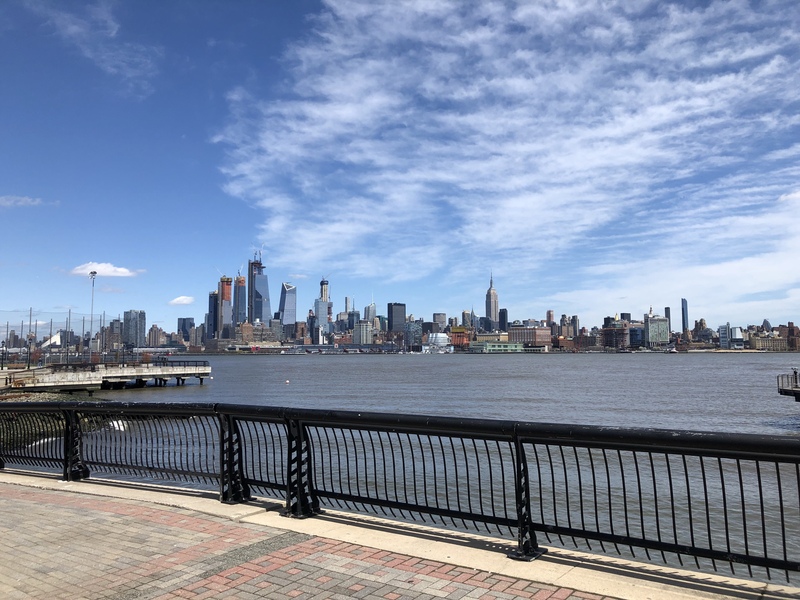 If you are considering making Hoboken your new home, you should check these homes for sale in NJ. 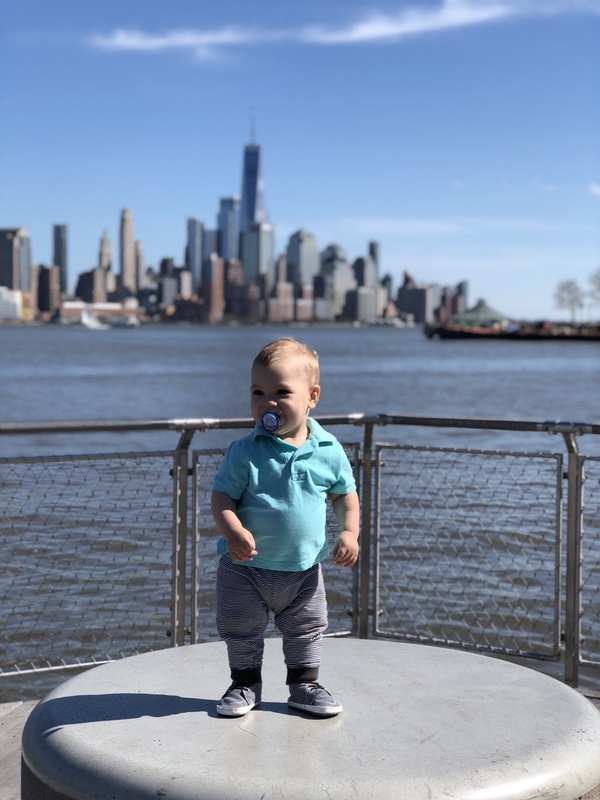 We plan to buy our own house in the near future and Hoboken is definitely a place we will consider. 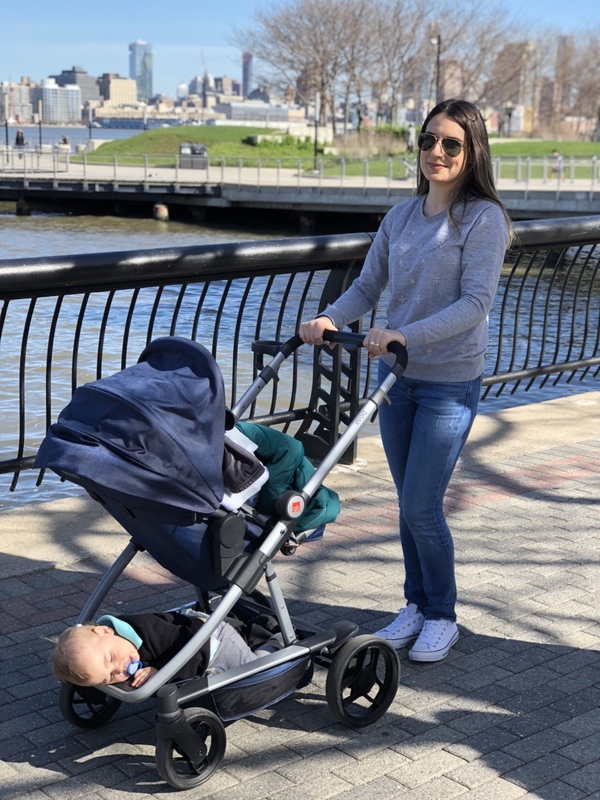 Aproveitamos bastante a nossa tarde de passeio em Hoboken. Uma cidadezinha super legal e cheia de vida. Se você mora aqui nos EUA e tem interesse em comprar imóveis nessa área, da uma olhadinha nesse site. Eu adoraria morar aqui algum dia!